Decorated Mochi ``shikai`` with curry sauce. 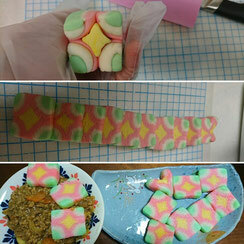 My first making Decorated mochi(DecoMochi) is ''shikai'' it means World. We enjoyed the decorated mochi with curry sauce.